Here’s a video about Florida whipmaker George Altman. Thanks goes to Ron Allen for sending me this video. 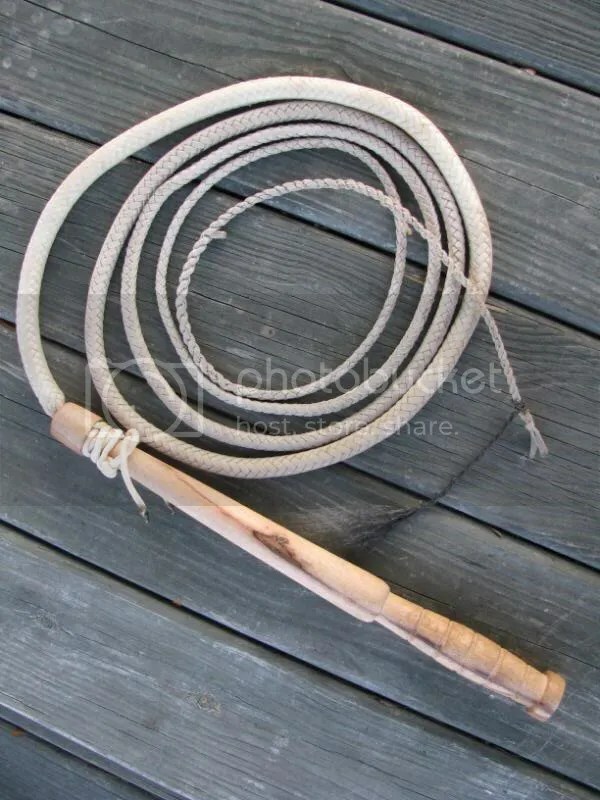 Now I know, at least according to Altman, that until I start making buckskin cow whips, I’m not really a whipmaker! LOL! This entry was posted on Wednesday, March 4th, 2009 at 4:35 am	and posted in Cow Whips, Florida Crackers, for sale, History, nylon whips, Uncategorized. You can follow any responses to this entry through the RSS 2.0 feed. You’ll be glad to know that George Altman is alive and saddlemaking in Wauchula, FL. I just got my custom saddle for my Percheron from George two weeks ago and it fits like a dream. What a wonderfully talented gentle man. I am blessed to know him and his wife, Barbara.